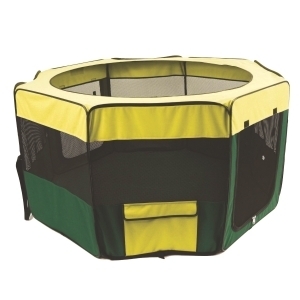 Safe outdoor playpen for small animal, or small dog and cat. Easy pop-up assembly. 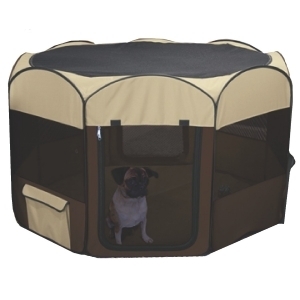 Zippered mesh door and removable sun screen included.